Thank you to the five bloggers who linked up with my new linky last month. I was really chuffed that even five other people linked up with me! Hopefully I can get even one more in January. I said I was going to pick one featured blogger each month, and I will do from this month but I also wanted to mention the four other bloggers who supported me in my first month too. 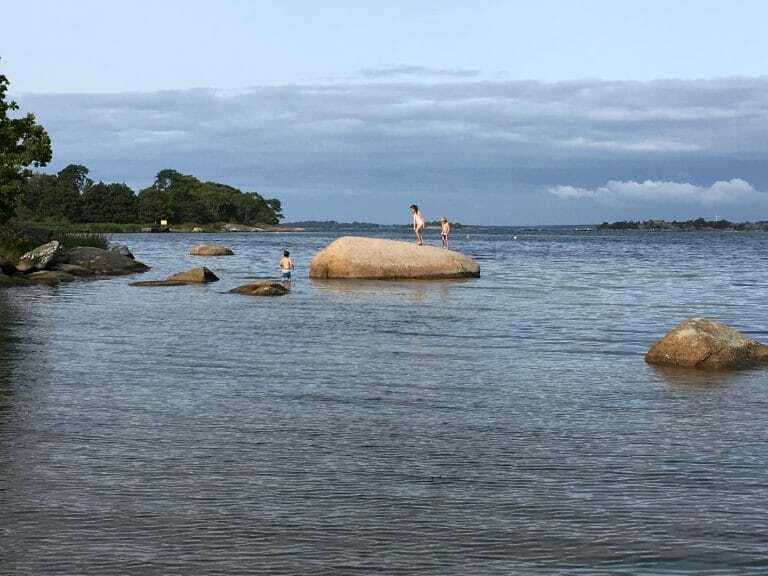 Imagine being able to just rock up on any beach anywhere and camp there for the night! To wake up to this view, and the children being able to play in the sea at early hours of the morning. Whilst you sit there drinking a hot drink and camping on a homemade firepit! Siobhan From The Baby Boat Diaries who is taking part in the Project 52 weekly photo challenge and linked up 2 very cute photos of her little girl exploring Christmas decorations. 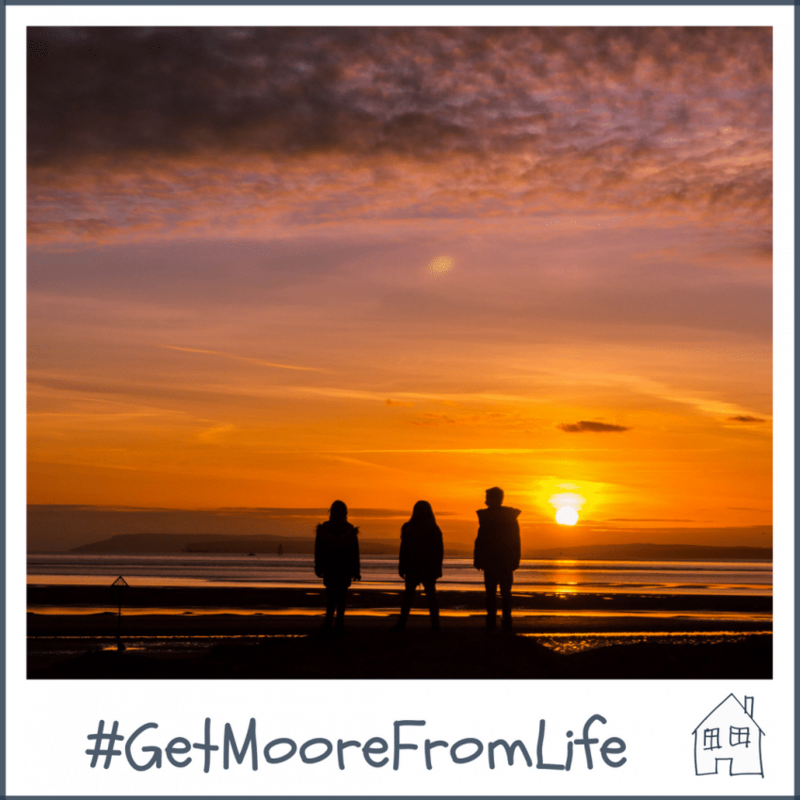 Get Moore From Life isn’t just about being outside together, it is about time, moments, things you love in life or things you have purchased to make life just that little bit more special. So I wanted to create a linky that we could use to celebrate that. Celebrate those little moments in our lives that we think are special and we ‘Get Moore From Life’ from. So a few questions answered for you, and then I hope you would love to join in with me at the bottom. Tweet to say you have joined in, I will RT all of these with my followers. Make sure you include my twitter handle @RenovationBB & #GetMooreFromLife so I know you have tweeted. I haven’t pushed the hashtag on Instagram very much during December but I would love it to grow more, it was only me and Sonia from Mammas School who shared it this month, but look at this picture! Toasted Marshmallows for breakfast….kids dream!! This is running from 1st of every month and will stay open for 3 weeks, I will be then back next month with my first featured post and the regular linky. Thank you, it’s on throughout the month for 3 weeks so feel free to join in. What a view indeed! good luck with the linky. I love discovering new ones like that and the idea behind it is fab! Thank you, I hope you join in with my linky! Fab linky you got here and some lovely photos! Thank you, I would love for you to link up with me this month. Well done for you first month with a new linky! How exciting. You’ve shared some great post this month. Good luck for 2018 and hope you get the word out more and have more people linking up! Thank you, yes it is lovely to find some new bloggers to read as well. This is such a lovely idea for a linky and I love the posts and adventures you have highlighted! What a lovely idea for a linky. I need to get back in the swing of things but when I have a post suitable i’ll be sure to link up. Thank you, I can’t wait to see your pics that you link up. What a fab idea and such beautiful photos too! Thank you, hopefully you can get out and about soon. What a fab idea for a linky. Nice one. Sounds like a great linky. I hope it is a great success. Thank you for linking up a great post, look forward to this months one! Thank you, big thing ticked off my to do list!! Thank you very much! I am happy to give a little mention on Twitter if you want, I will add you to my list to send out. Thanks! Sounds and looks like a wonderful round-up of adventures. I certainly would love to wake up to sea views like that. Now if only the weather would improve! Yeah I think today we would have been blown into the sea! I am loving the idea of this linky party and I will definitely be linking up, I like linking up and host one with other bloggers on Mondays too. Awesome. Love the photos you showcased too!